LOS ANGELES (AP) — Jamie Foxx is defending his national anthem performance at the Floyd Mayweather-Manny Pacquiao fight against online criticism. On Entertainment Tonight, Foxx says that his earpiece fell off just before he started to sing The Star-Spangled Banner. He said he had to follow the accompanying organ music through arena speakers at Saturday’s fight in Las Vegas. Despite that, he got an enthusiastic response from the crowd and individual compliments from Denzel Washington and others, Foxx said. When he learned that online posts were taking him to task, Foxx said he listened to a playback and realized the song was a bit off. Nevertheless, Foxx said he hadn’t committed, in his words, “a sin against America” and said the anthem sounded “great” in the arena. 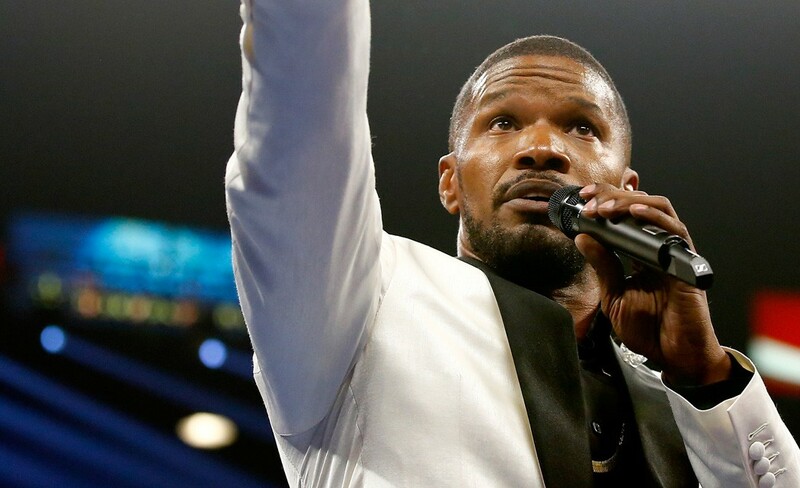 Posts that questioned if he could sing went too far, Foxx said.